As EU Juncker clings to job his latest remarks about the UK have caused OUTRAGE! After a long holiday the European Parliament is back again and unelected EU Commissioner Jean Claude Juncker has come out fighting. As we reported the other day Juncker is facing a slew of probes of his appointment of Martin Selmayr to a crucial EU position that has seen him faced with accusations of nepotism and corruption. The UK will come to "regret" the decision to leave the EU, European Commission president Jean-Claude Juncker has warned. 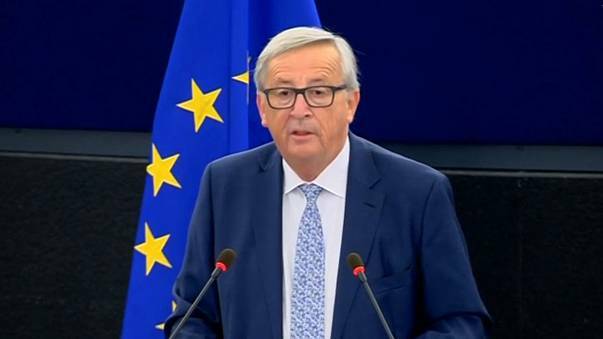 Addressing the European Parliament, Mr Juncker was met with a mixture of cheers and boos as he noted the UK's departure was due on 29 March, 2019. In response to the heckling he said the time would come "when you will regret your decision!" Do you regret your decision to leave the EU, or do you agree it was a GREAT decision like we do? If you agree with us Click Here to sign up now! Read: "BREAKING: Professor Stephen Hawking Dead"
Read: "SHOCK new evidence of BBC Brexit bias uncovered"